The above info came from Amanda Taylor, and was edited by yours truly (contact me). The image came from imageshack. 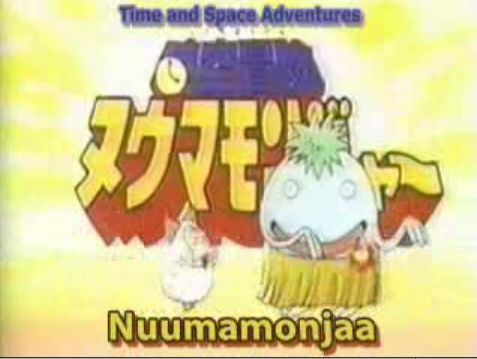 Time & Space Adventures Nuumamonjaa was made as a short anime to premote the the SNES game Chrono Trigger, it follows the adventures of the monster group Nuumamonjaa. With they're club being a bust, they explore the Millennial fair and end up in a bunch of trouble. In this anime the android Johnny from 2300 A.D. appears and he looks older than he is in the game. The above description came from Amanda Taylor, and was edited by yours truly (contact me).